Whether you need assistance with navigation or with getting into tight parallel parking spots, the 2019 Ford Focus has the technology needed to make it easy and stress-free to drive in Kansas City. 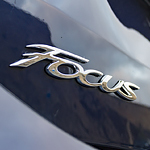 Victory Ford can explain the different smart technology features found in each model of the Focus. Being aware of your surroundings when you're driving is important. The Blind Spot Information System uses cameras and sensors to detect other vehicles in spots that you might not see immediately with your mirrors. With a Lane-Keeping System, the Ford Focus can detect if you're drifting out of your lane and alert you so that you can correct your course. For driving in the city, the Ford Focus Titanium has parking assist technology that will handle the steering portion of the parallel parking process while you only have to focus on operating the gas and brakes.